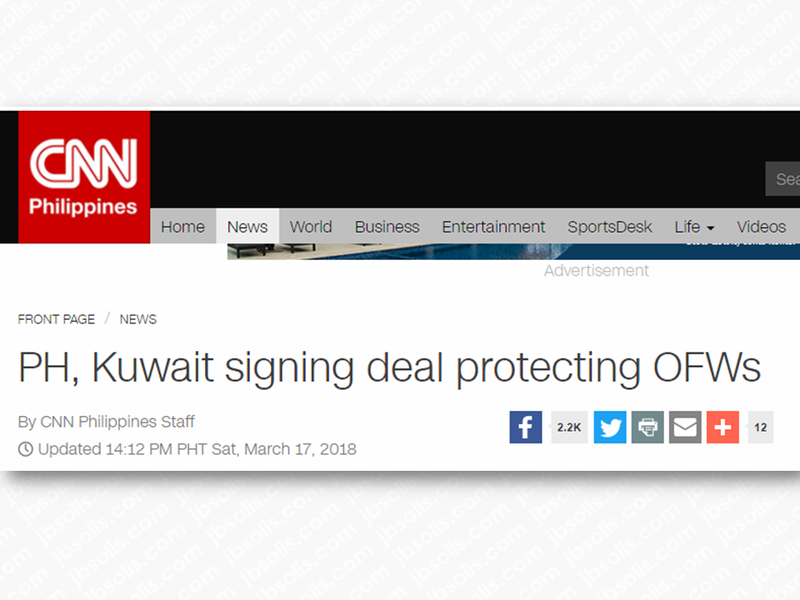 Philippines and Kuwait officials agreed in a memorandum of understanding (MOU) to allow OFWs to keep their own passports, or give them to the Philippine Embassy for safekeeping, to prevent employers from withholding the document. The workers will also get to keep their mobile phones. Employers will not be allowed to transfer OFWs from one worker to another without the workers' consent. Both parties also agreed to provide a $400 net monthly salary. A bank account will be opened by the employer where salary will be deposited, as proof that the OFW is being paid. The Philippines and Kuwait have finally approved the memorandum of understanding (MOU) draft on the protection of Filipino workers in the Gulf state. The document is expected to be signed by Labor Secretary Silvestre Bello and Kuwait labor officials in two weeks. He said the two-day long bilateral talks in Manila ended with the parties agreeing on contentious issues involving passports and employment contracts. But in a later interview, Bello said: "Contentious issues were resolved, no more deadlock." He said the signing will most likely happen in Kuwait. President Rodrigo Duterte had set to lift the deployment ban to Kuwait provided that they will sign the MOU and solving the case of Joanna Demafelis, the OFW that was found dead in a freezer in Kuwait. Bello said there is no guarantee the ban will be lifted once the MOU is signed because Duterte previously said he also wants justice for Demafelis before sending new hires to Kuwait. 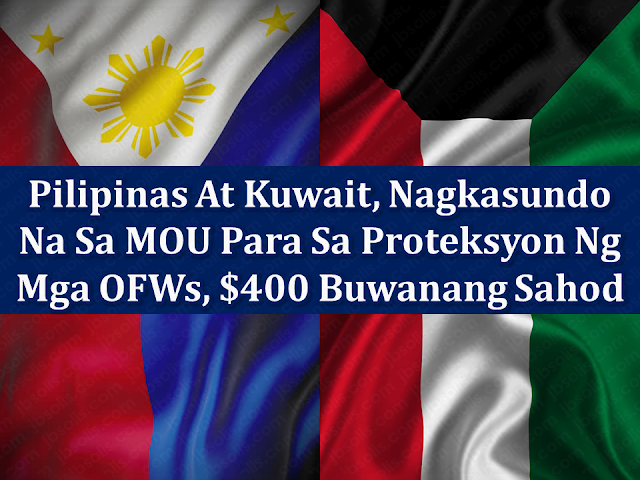 Before the ban, Kuwait was one of the top destinations for OFWs, with over 240,000deployed in different industries. The latest Bangko Sentral ng Pilipinas data show remittances from Kuwait from January to November 2017 amounted to $735 million (P37.5 billion). The two-day negotiation between the two countries was held at the Diamond Hotel in Manila on March 15-16.